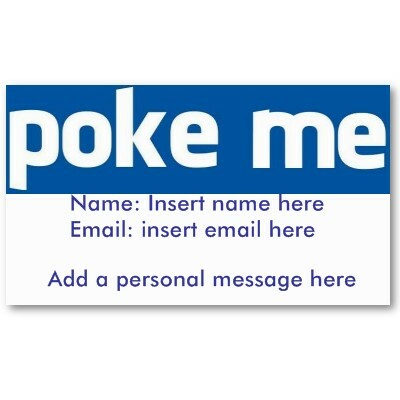 Facebook has launched Poke app with reinventing feature. Now poke feature is with a new standalone iOS app that lets you send messages, photos and videos to your friends on the social networking service that disappear within 10 seconds of someone opening them. Now Poke joins some of other standalone Facebook apps, including Instagram, Messenger and Camera. Poke is similar to another popular app called Snapchat, which also erases messages once they're viewed and has millions of users who send roughly 50 million messages a day. Poke lets you send a 120-character note, take a photo and annotate it with doodles or words or make a short video. You can also choose how long recipients can view your message -- 1, 3, 5 or 10 seconds. Apps like Snapchat and Poke certainly have utility for some people, especially considering how much trouble a person can get into if the wrong kind of message surfaces beyond its intended audience.